Home Tags Posts tagged with "un sanctions on north korea"
The UN Security Council has imposed tough new sanctions on North Korea in response to ballistic missile tests. The US-drafted resolution includes measures to cut North Korea’s petrol imports by up to 90%. China and Russia, North Korea’s main trading partners, voted in favor of the resolution. Nikki Haley, the US ambassador to the UN, said the sanctions sent an “unambiguous message to Pyongyang that further defiance will invite further punishments and isolation”. She described North Korea as “the most tragic example of evil in the modern world”. The Chinese foreign ministry described the situation on the peninsula as “complex and sensitive” and called on all sides to “exercise restraint and make active efforts to ease tensions”. The US said it was seeking a diplomatic solution to the issue and drafted this new set of sanctions, including: deliveries of petrol products will be capped at 500,000 barrels a year, and crude oil at four million barrels a year; all North Korean nationals working abroad will have to return home within 24 months under the proposals, restricting a vital source of foreign currency. There will also be a ban on exports of North Korean goods, such as machinery and electrical equipment. Tensions have risen this year over North Korea’s nuclear and missile programs, which it has pursued despite pressure from world powers. The UN sanctions came in response to North Korea’s November 28 firing of a ballistic missile, which the US said was its highest yet. President Trump has previously threatened to “totally destroy” North Korea if it launches a nuclear attack. 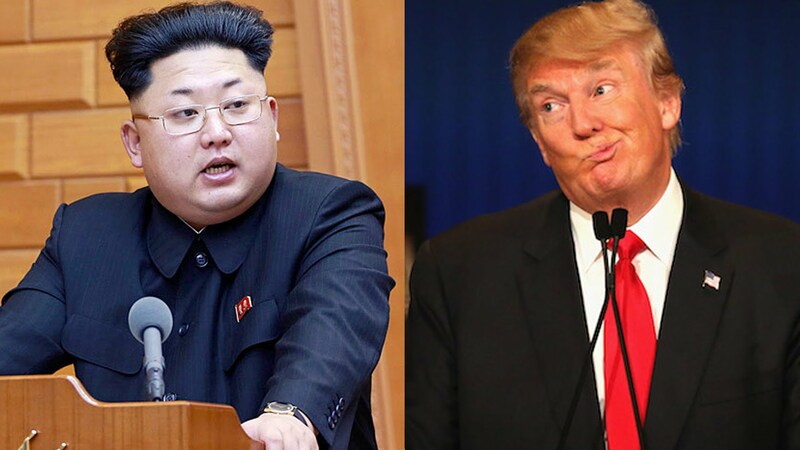 North Korean leader Kim Jong-un has described President Trump as “mentally deranged”. China will close down the North Korean companies operating in its territory as it implements United Nations sanctions against the reclusive state. The North Korean companies will be shut by early January. Joint Chinese and North Korean ventures will also be forced to close. 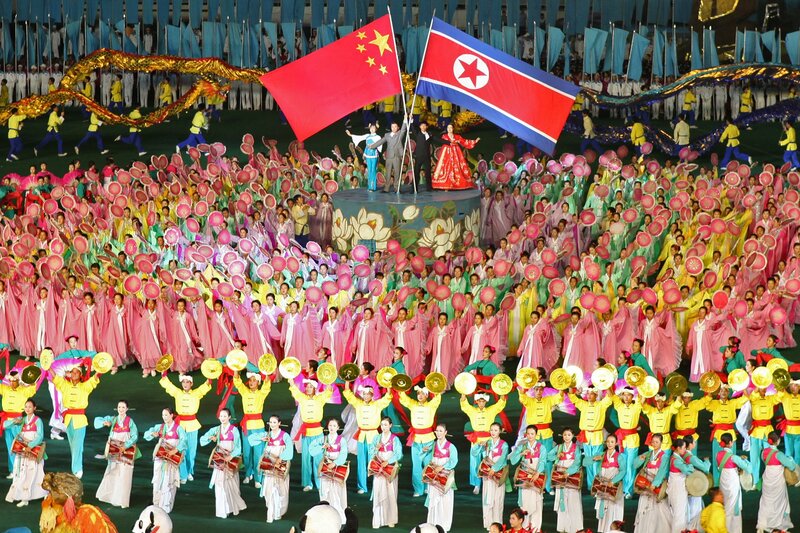 China, North Korea’s only major ally, has already banned textile trade and limited oil exports. The move is part of an international response to North Korea’s sixth and most powerful nuclear test. The UN Security Council, of which China is a member, voted unanimously for fresh sanctions on September 11. China’s commerce ministry said it had set a deadline of 120 days from the passing of the resolution for any North Korean companies within its borders to close. North Korea is politically and economically isolated, and the vast majority of its trade is with China. China has traditionally been protective of North Korea, but has sharply criticized its nuclear tests and escalating rhetoric. Earlier this year, China clamped down on its purchase of coal from North Korea and on seafood and iron trade across the border. Coupled with the textile trade ban, Pyongyang has lost several of its scant sources of foreign currency income. China has been under public pressure to take action from President Donald Trump, who has both applauded and denounced Chinese policy at different times. President Trump has also been involved in a direct war of words with North Korean leader Kim Jong-un, labeling him a “rocket man” on “a suicide mission”. He warned that he would have no choice but to “totally destroy” North Korea if forced to defend the US or its allies. Kim Jong-un, in turn, has called Donald Trump “deranged” and a “dotard”, and said the US president’s comments have convinced him he is right to seek a nuclear deterrent, and has even accused President Trump of declaring war. North Korea warns that more sanctions and pressure will only make it accelerate its nuclear program. In a strongly worded statement, North Korea called a new set of UN sanctions “the most vicious, unethical and inhumane act of hostility”. 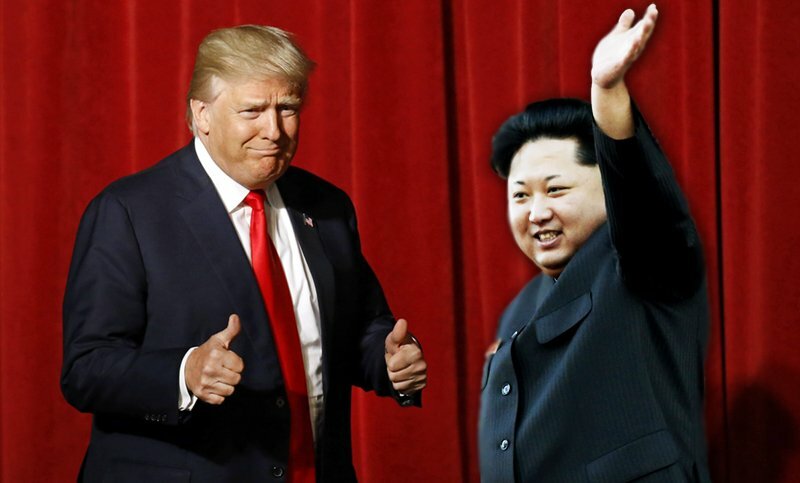 Meanwhile, President Donald Trump and his Chinese counterpart committed to “maximizing pressure” on North Korea through vigorous enforcement of UN resolutions. Earlier, the US and South Korea carried out joint military exercises. North Korea fired its latest missile over Japan on September 15. It traveled 2,300 miles, putting the US Pacific territory of Guam, which North Korea says it has a plan to target, within reach. The launch followed a fresh round of UN sanctions and was unanimously condemned by the UN Security Council as “highly provocative”. North Korea also said that the goal of the new UN sanctions, approved on September 11, was to “physically exterminate” the country’s people, system and government. The sanctions are an attempt to starve North Korea of fuel and income for its weapons programs, and restrict oil imports and ban textile exports. The fresh measures followed the sixth and most powerful nuclear test conducted by North Korea earlier this month. However, some critics have raised questions over the effectiveness of the restrictions, as North Korea is still able to trade internationally. North Korea’s commerce with China, its main ally, was partially responsible for an estimated economic growth of 3.9% in 2016, Bloomberg news agency reports. The issue of North Korea’s weapons program is expected to dominate President Donald Trump’s address at the UN General Assembly and his meetings with the leaders of South Korea and Japan. President Trump previously warned that “all options” were on the table and that North Korea would face “fire and fury” if it continued to threaten the US. In a phone call on September 18, President Trump and Chinese President Xi Jinping committed to “maximizing pressure on North Korea through vigorous enforcement” of UN Security Council resolutions, the White House said. Russia has also criticized what it describes as “aggressive rhetoric” from the US. China and Russia only agreed to the new UN sanctions after they were softened by Washington. 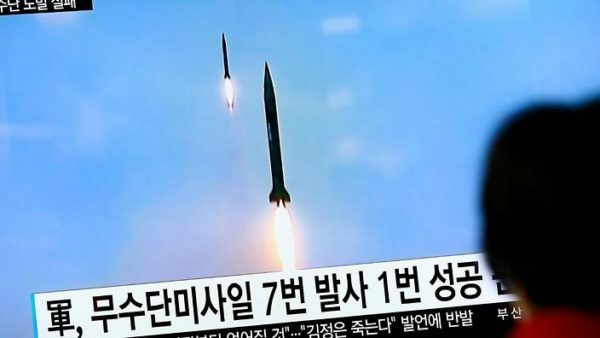 The UN has imposed new targeted sanctions against North Korea in response to a series of missile tests conducted by Pyongyang this year. The measures impose a travel ban and asset freeze on four entities and 14 officials, including the head of North Korea’s overseas spying operations. The UN Security Council voted unanimously to back the sanctions after weeks of negotiations between the US and China. North Korea has defied a UN resolution banning all nuclear and missile tests. The sanctions resolution was adopted by the 15-member council on June 2. Among the 14 North Korean officials is Cho Il-u, who leads Pyongyang’s foreign espionage operations. The other blacklisted officials are senior members of North Korea’s Workers’ Party and heads of trading companies funding Pyongyang’s military program. 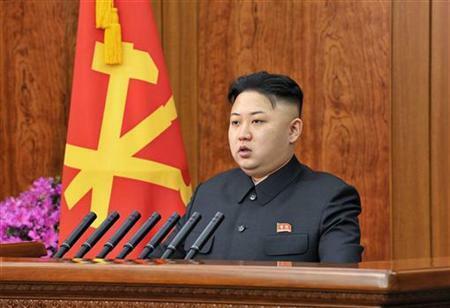 North Korea’s strategic rocket force, the Koryo Bank and two trading companies were also added to the list. The Koryo Bank is linked to a party office that manages finances of North Korea’s top officials, including leader Kim Jong-un. North Korea has been testing its missiles at an unprecedented pace. It says its nuclear program is defensive and intended to counter US aggression. However, experts fear the tests indicate progress towards North Korea’s ultimate goal of putting a nuclear warhead on a missile that could strike the continental US. President Donald Trump has warned North Korea that America’s “strategic patience” over North Korea’s nuclear ambitions came to an end. Washington has recently sent its aircraft carrier to the Korean peninsula. At the same time, the US has been negotiating with China – North Korea’s ally – to put more pressure on the secretive regime. The UN Security Council first imposed sanctions against North Korea in 2006 in response to its missile and nuclear programs.